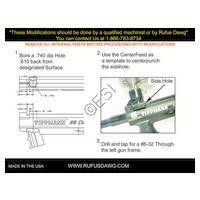 Rufus Dawg makes a lot of accessories to squeeze performance from your Tippmann paintball gun. They also make tank protectors and more. Download the complete Manual here.